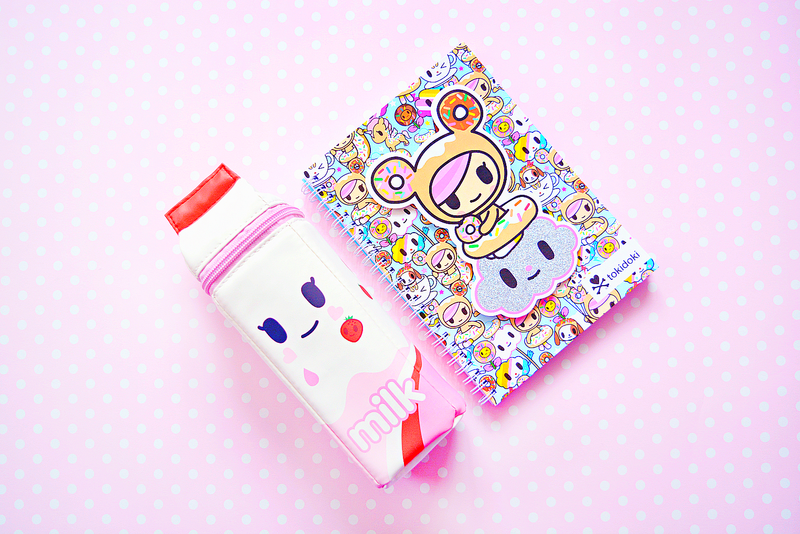 As you might’ve seen HERE I recently found an amazing kawaii shop called Tofu Cute. With so many adorable items available I couldn’t leave without buying a few little treats. About 75% of Tofu Cute’s stock is candy. I’ve not really tried any Japanese candy outside of Pocky so I picked out a few. 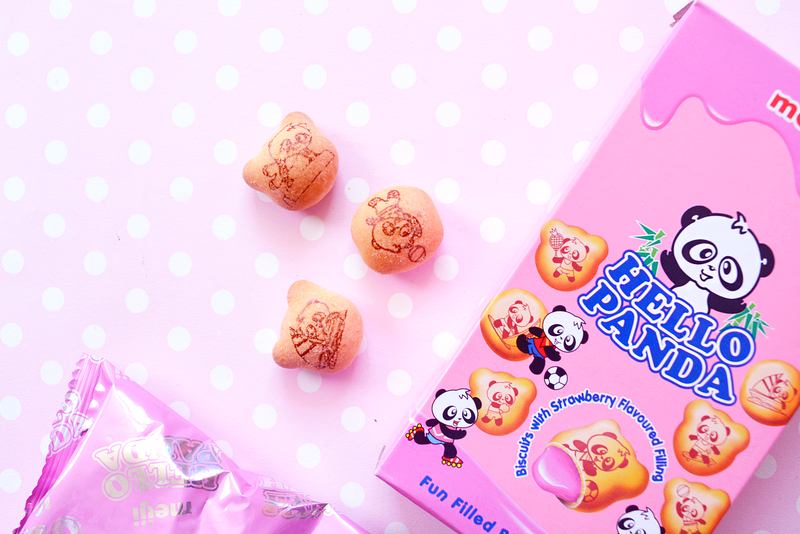 Firstly, a packet of cute looking, strawberry filled panda biscuits. 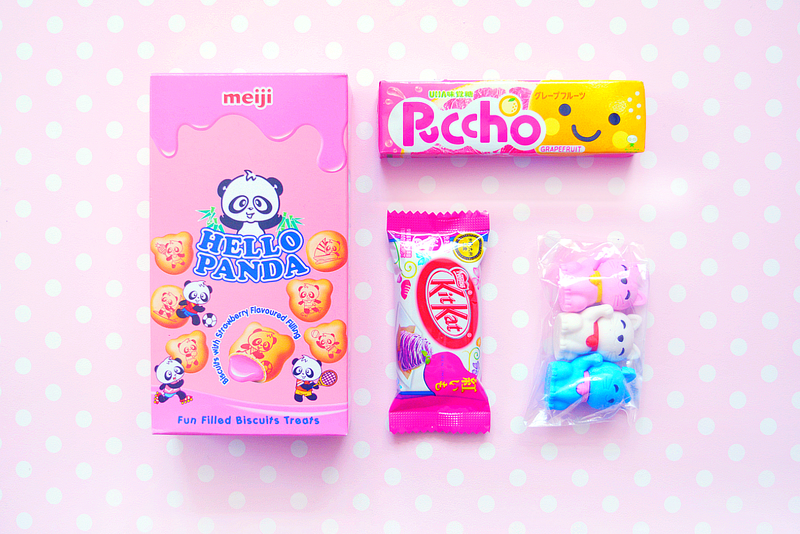 I’m yet to try these because they look too cute to eat! There was also a fabulous range of mini Kit Kats, in lots of different flavours from Strawberry Cheesecake to Matcha Tea. With so much choice I panicked and went for grape -doh-. I’m sure I’ll go back and pick out a more appealing flavour another time. 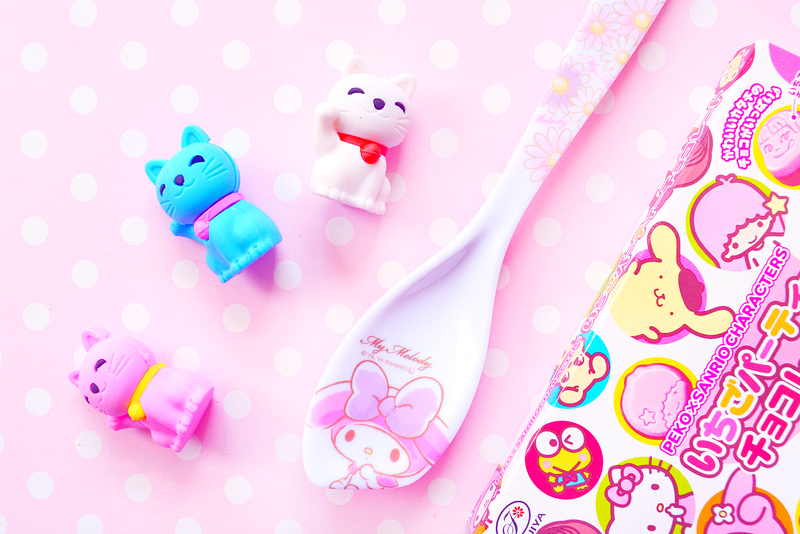 I was so tempted to splurge on lots of Sanrio and Sailor Moon merchandise but I settled on just two items: an awesome My Melody spoon that has a flat edge, to make scooping round the edges of a bowl easier and, get this...a SAILOR MOON EYELINER ASJAHDFDASK. I’m half contemplating keeping this as an unopened collectible but then the other half of me thinks if I use it then I’m one step closer to being a magical girl - decisions, decisions. You know I love pretty stationery, and again, whilst I could’ve happily splurged on all the stationery available, I just got this cute little Cotton Doll pen which I’m sure will come in handy. 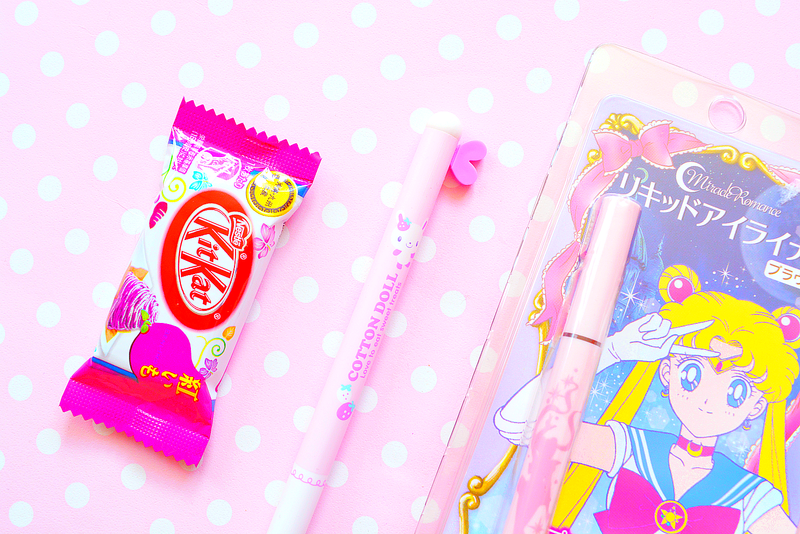 If you follow me on Instagram HERE, you would’ve already seen the AMAZING kawaii pencil case and notebook I got from Primark. Yep you read that right - Primark! 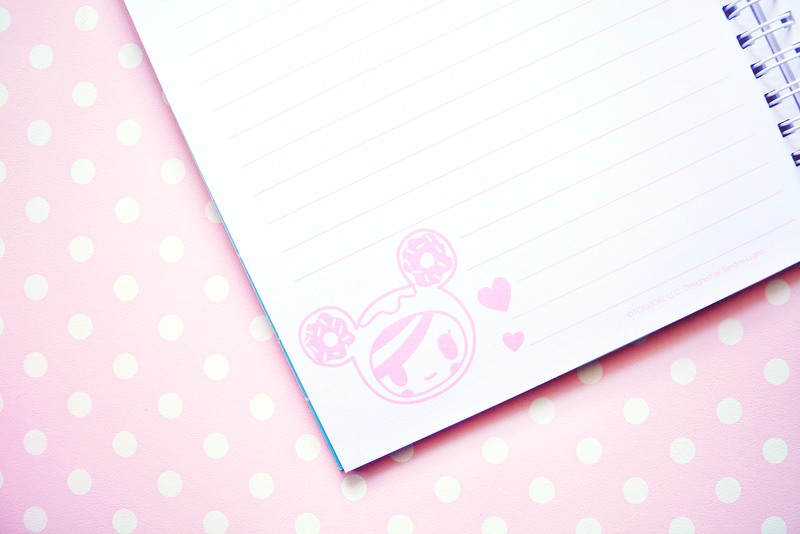 They’ve recently launched this adorable Toki Doki stationery range and I, for one, am a huge fan. Keeping with the *stationery* theme, these cute kitten erasers from Wilko, may have also found their way into my basket hehe. They’re only 35p so why not eh? Finally in this haul, I got two little plushies. 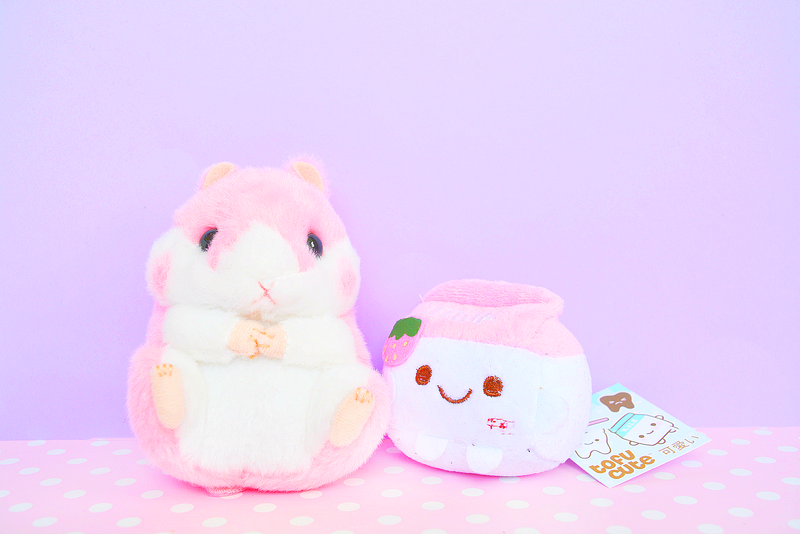 As you would’ve seen in my last post, Tofu Cute was filled to the brim with adorable plushies and whilst I had my heart set on one of the giant bunnies, alas, they were quite expensive. Instead I went for a keyring sized hamster (who is just as adorable) and a mini milk. I’m super happy with my purchases and I know it won’t be too long until I’m hauling at Tofu Cute again. Oh my god, these are soooo cute! omg so much pink! 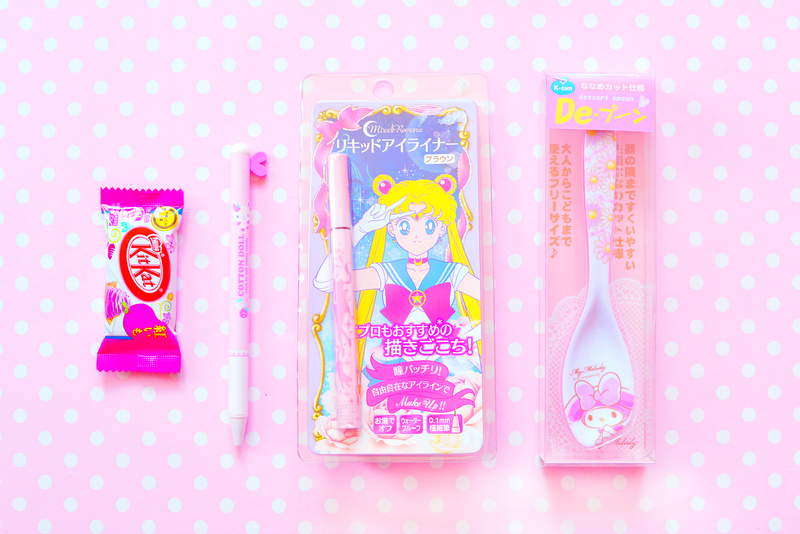 everything looks so cute! Just found your blog via the #crazybloggers chat, everything's so cute!